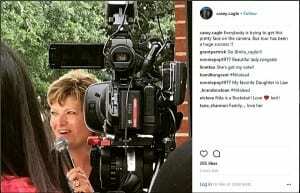 BLUE RIDGE, Ga. – Georgia’s current Lieutenant Governor Casey Cagle continues to make his way across the state in his bid to become Georgia’s next Governor. 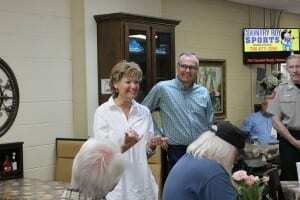 Recently Cagle made stops through North Georgia as part of his campaign on a two week venture dubbed the “Cagle Country Bus Tour”. 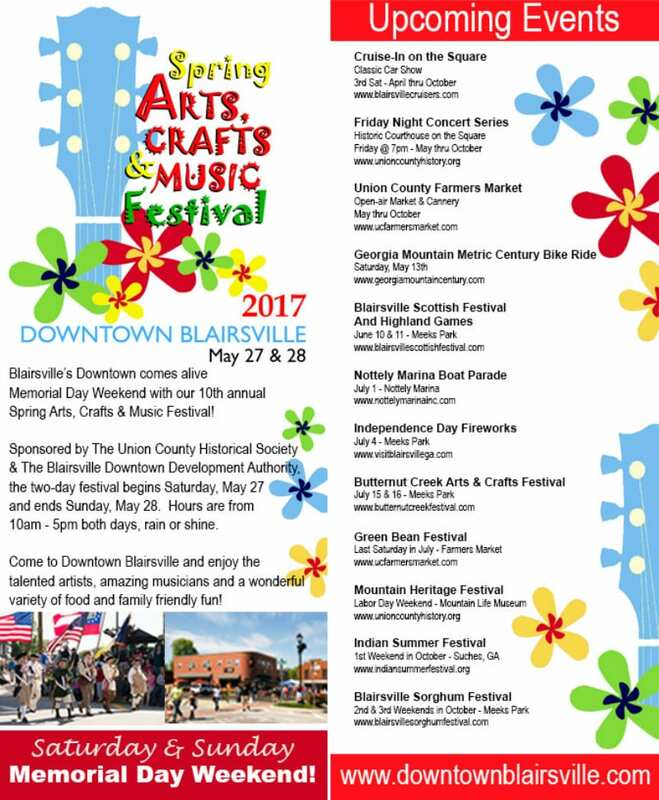 Nita Cagle speaks to a group of youths in Blairsville, Ga.
Nita Cagle has been by Casey’s side for 32 years. 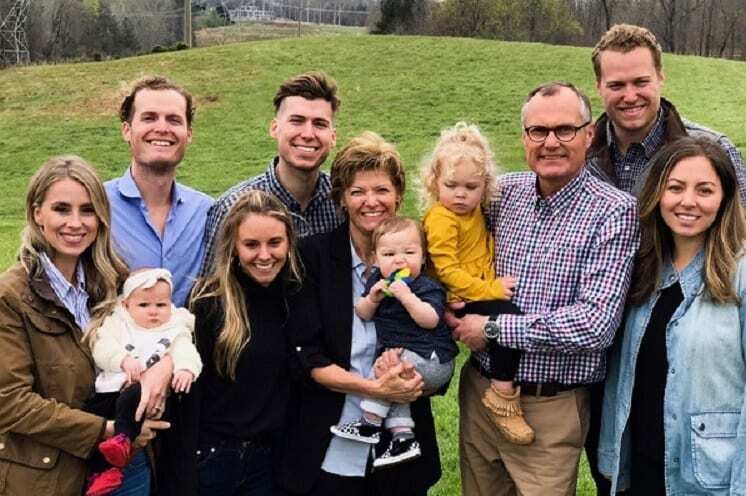 In these 32 years, the Cagle’s have raised three sons and are currently enjoying the addition of three grandchildren to family, but raising a family and having a life in politics has not always been easy. Cagle holds the title of Second Lady of the State of Georgia, but she says what she is most proud of is her title as wife, mother and now grandmother of the Cagle household. Casey Cagle first ran for Georgia Senate District 49 in 1994. At this time both of the Cagles were in their late 20s and just beginning a family. Cagle admits that when she first noticed that Casey was showing interest in this field, that she was “a little hesitant” to jump on board, but says that her faith changed her attitude. 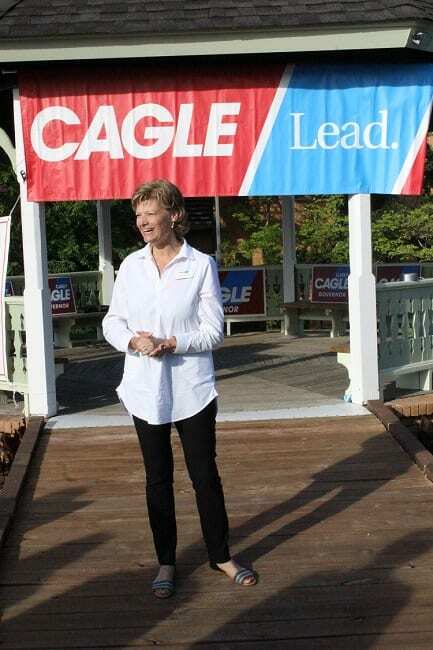 Nita Cagle rallies the crowd for her husband at Glenda’s in Cleveland, Ga. Ultimately, through family discussions, Cagle decided that she would become a strong foundation for her family at home. Having grown children poses a set of new and exciting challenges when it comes to time management, as Cagle announced that their youngest son recently proposed to his girlfriend and would like to wed in the Fall shortly before the Nov. General Election. Cagle would also like to put a focus on small businesses throughout Georgia. She and husband Casey got their start by establishing a small business, so she knows first hand the struggles that entrepreneurs face. “I would like to champion them, and spotlight them,” Cagle said explaining her passion for this area. She noted that small businesses make up a large portion of the Georgia economy, and she would like to see “mom and pop shops” continue to set up and succeed in our state. 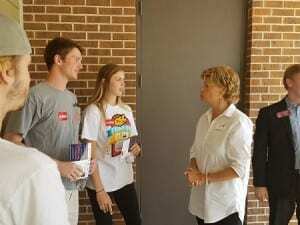 Finally Cagle discussed an issue that has come up time and time again on the campaign trail and that is of the opioid epidemic that is not just facing the state of Georgia but affecting countless families nationwide. 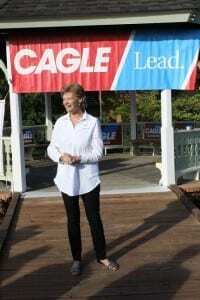 While Cagle admits that she is by no means an expert when it comes to this crisis, she says that she cannot deny the need to address the issue and “get the conversation going.” She states that by hearing the heartbreaking stories from families affected by opioid addiction she understands the depth of the problem and that it will not be an easy one to combat. Cagle also acknowledged the successes being seen through Georgia’s Drug Courts, and would like to study the impacts of possibly expanding these programs. 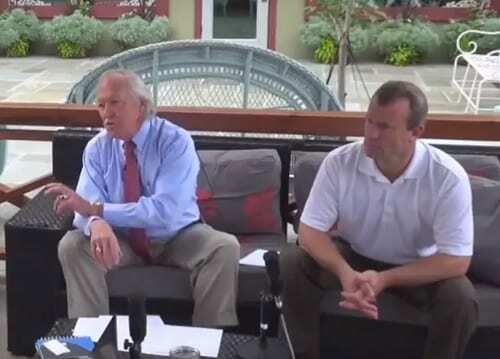 She speaks of his competitive drive and his ability to connect with people, but says that he is also a fair man and one she is proud to have spent the last 32 years by his side. Part Two of the GMFTO series on Medical Marijuana, Cannabis Oil, and the effects for health treatment in our nation.